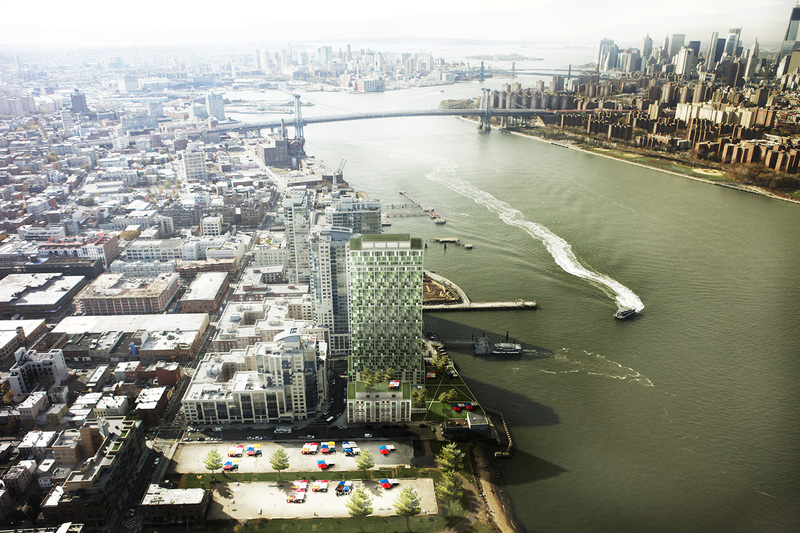 The Edge is a concept design for a mixed-use residential development, intended as the final phase of a multi-tower project adjacent to the North Williamsburg Ferry Terminal. The waterfront site offers dramatic views of as well as high visibility from lower Manhattan. The intent of the design is to maximize development potential in a way that provides optimal views for residents. A central court with an elevated viewing garden is flanked by a slender high-rise tower and neighborhood-scaled structure facing a public park. 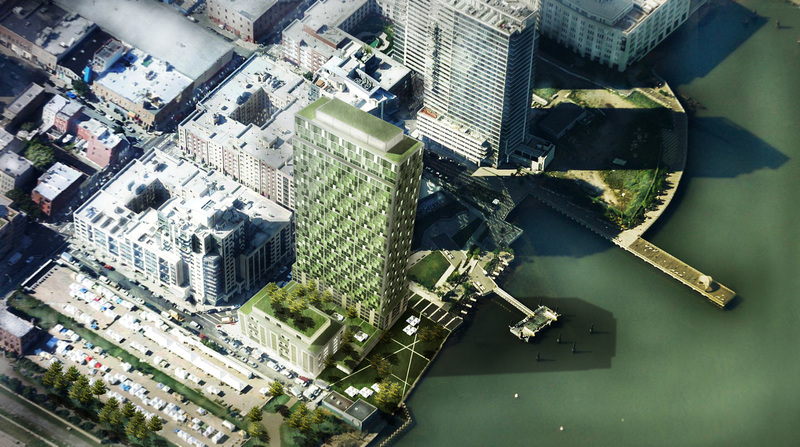 The tower’s green metal panel, concrete, and glass façade are scaled for legibility from across the river, offering a colorful counterpoint to the many conventional white panel and glass towers found nearby.